Forensics Investigators constantly have to update their skillset with tools that change the game. Many of you have played with the stand alone version of MimiKatz and/or the Metasploit MimiKatz plugin. 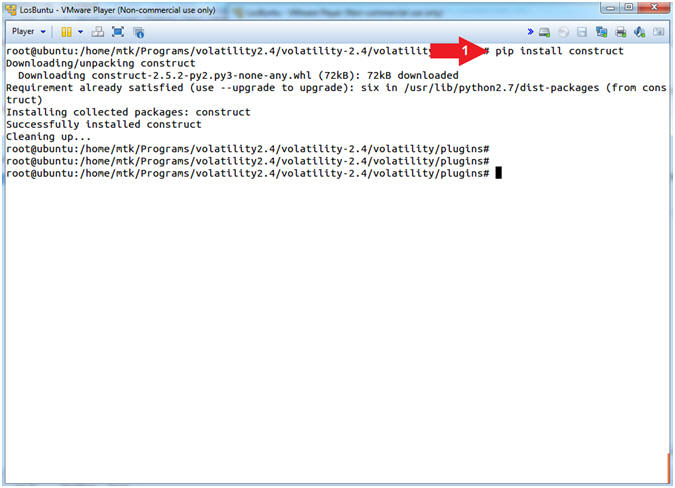 But did you know that there is a MimiKatz plugin for Volatility? This is important because it provides another way to capture a password (of a logged in user) from a memory image without having to extract the HIVE and crack passwords. 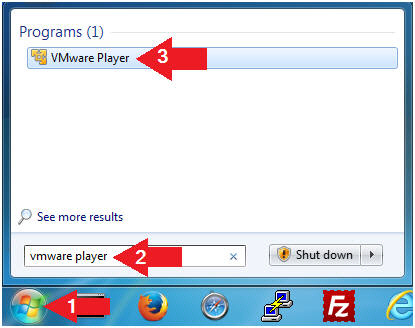 The following lesson will show you how to download and configure the mimikatz.py plugin with volatility. 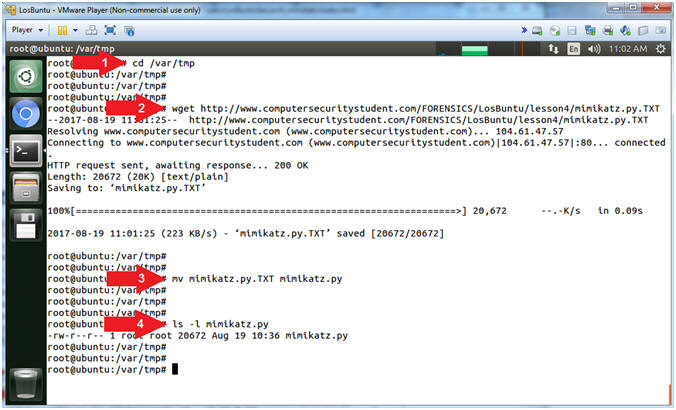 Mimikatz is a tool that pulls plain-text passwords out of WDigest interfaced through LSASS. WDigest is a DLL first added in Windows XP that is used to authenticate users against the HTTP Digest authentication and Simple Authentication Security Layer (SASL) exchanges. Both of these require the user's plain-text password in order to derive the key to authenticate, thus why it is stored in plain-text. Special thanks goes out to the mimikatz author, Benjamin DELPY (@gentilkiwi), for his game-changing work. I wanted to thank my good friend Carlos Cajigas (@carlos_cajigas) for creating LosBuntu and for his generous guidance and mentorship in Cyber Forensics. 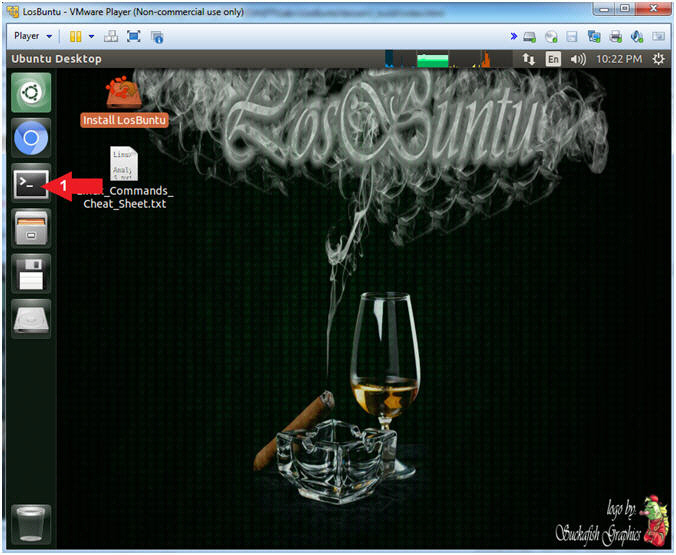 LosBuntu is a Linux Live DVD distribution (distro) that can be used to assist in data forensic investigations. It is a compilation of Master Cajigas' many years of experience as a former law enforcement agent and IBM forensics investigator. Thank you (@cruzhams) for providing the blueprints to get mimikatz working with Volatility. Note(FYI): LosBuntu will be used later to forensically collect a memory snapshot of the BadBlue Metasploit Attack Vector. 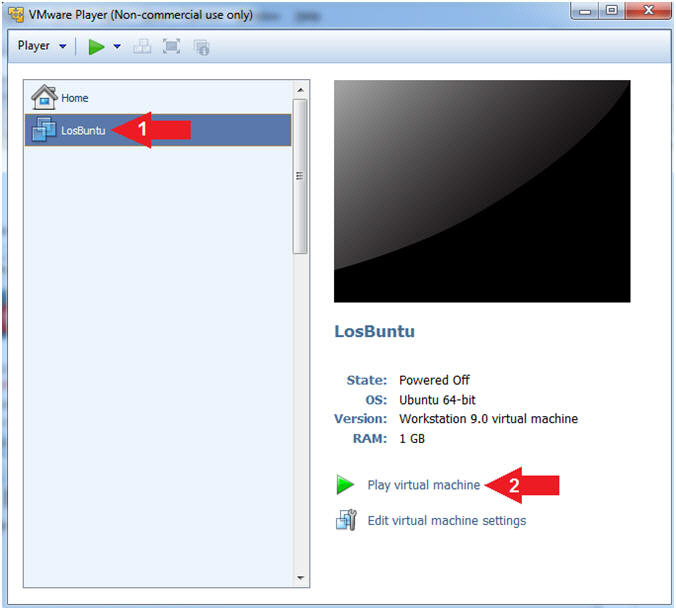 LosBuntu really needs 1.5 to 2 GB; however, you are only configuring MimiKatz with Volatility in this lesson. 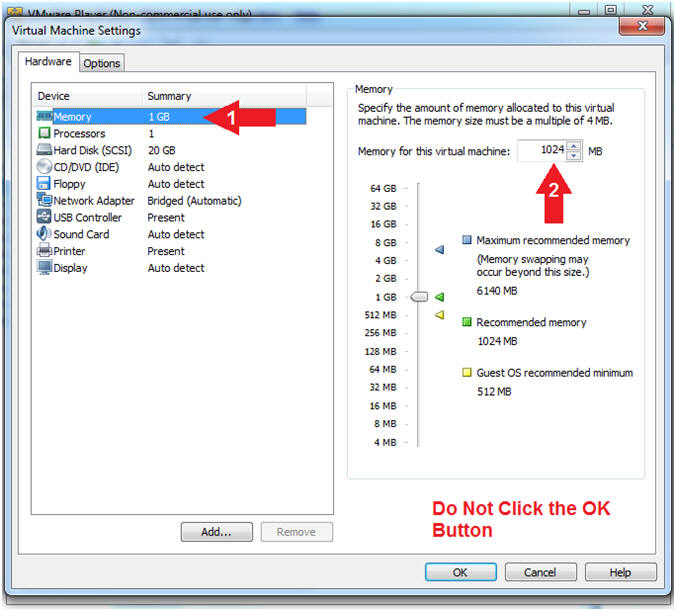 Do NOT Click the OK Button, we still have more to configure. Command #1, Use (sudo su -) to simulate an initial root login where the /etc/profile, .profile and .bashrc are executed. Not only will the root user's environment be present, but also the root user will be placed in it's own home directory (/root). 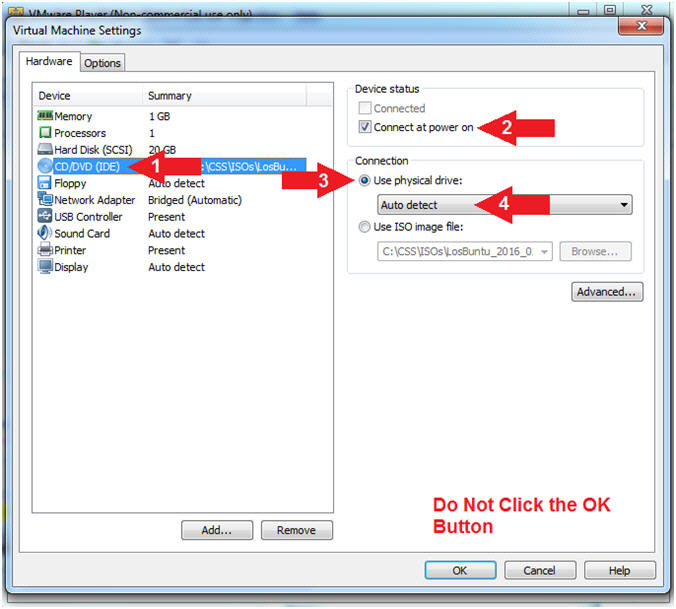 Command #2, Use (pwd) to display the current working directory of the particular user. Command #1, Use (ifconfig) to view all (-a) IP Addresses associated with LosBuntu. You should only have two interfaces: eth0 and lo. eth0 - Is the primary interface. In my case, the IP Address is 192.168.121.203.
lo - Is the local loopback address. 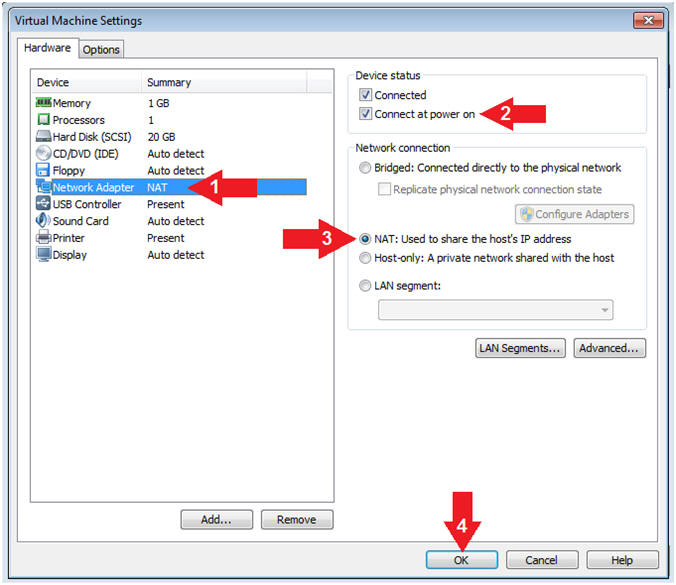 The loopback address is used to establish an IP connection to the same machine or computer being used by the end-user. The loopback construct gives a computer or device capable of networking the capability to validate or establish the IP stack on the machine. 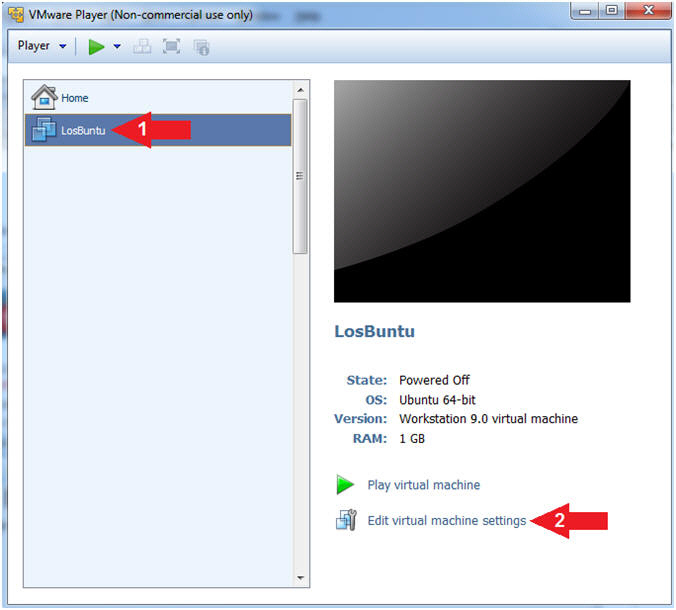 If your host machine has Internet Connectivity, but LosBuntu does not have an IP Address associated with eth0, then issue the following command as root. Command #1, Use (cd) to navigate into the (/var/tmp) directory. 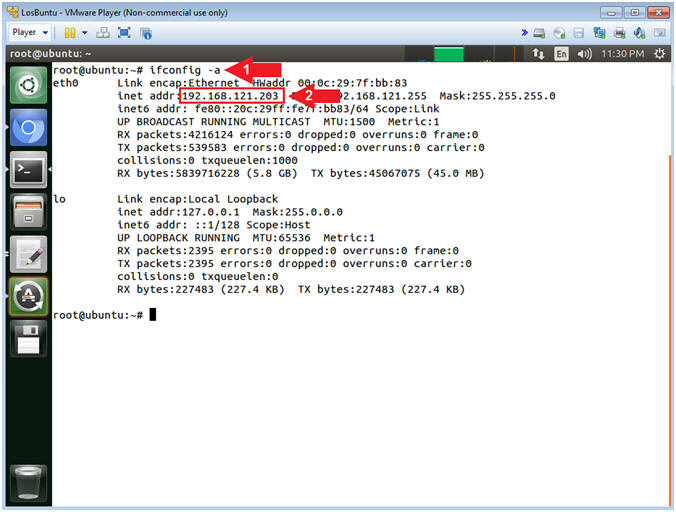 Command #4, Use (ls -l) to list (ie., view) the details of the mimikatz.py file. 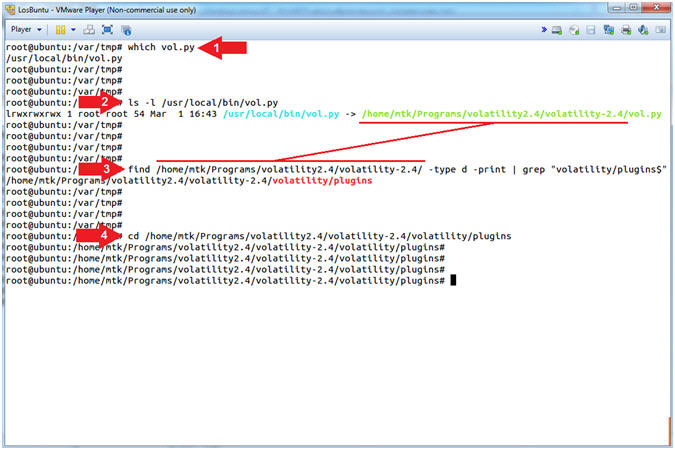 find /home/mtk/Programs/volatility2.4/volatility-2.4/ -type d -print | grep "volatility/plugins$"
Command #3, Use (find) to search the (/home/mtk/Programs/volatility2.4/volatility-2.4/) directory and use the (-type) flag to only show directories using (d) and use (grep) to only display output that ends with ($) and contains the string (volatility/plugins). The ($) means ends with. 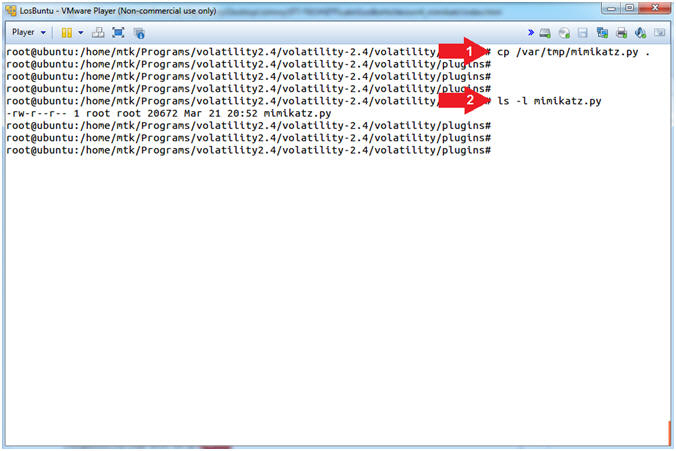 Command #4, Use (cd) to navigate to the plugins directory (/home/mtk/Programs/volatility2.4/volatility-2.4/volatility/plugins). Command #1, Use (cp) to copy mimikatz.py from the (/var/tmp) directory into (. ), which is the current working directory. 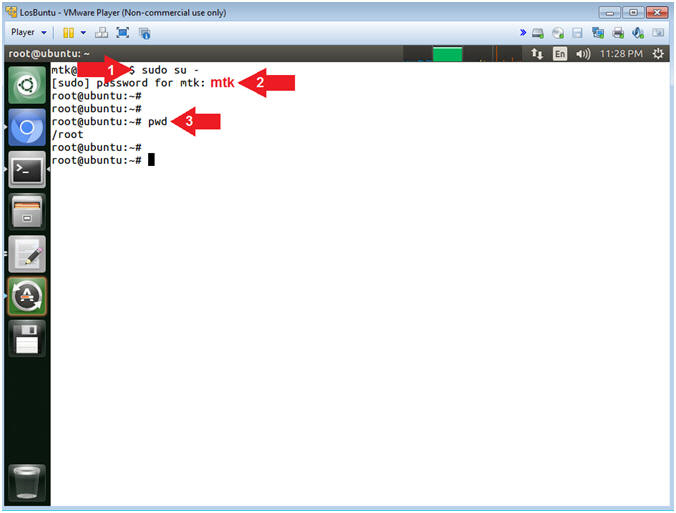 Command #2, Use (ls -l) to list the details of the mimikatz.py file. Command #1, Use (pip) to install the construct to go with mimikatz.py. pip is a Python package installer, recommended for installing Python packages which are not available in the Debian archive. Command #1, Use (find) to search the entire server, starting slash (/) directory, which basically means search the entire computer for the (mimikatz.py) file. 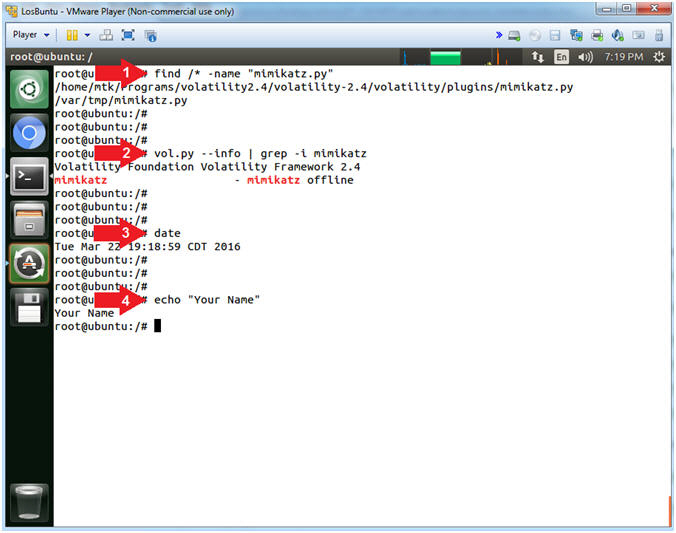 Command #2, Use (vol.py --info) to list all of volatilities plugins and use (grep) to only display the mimikatz plugin.